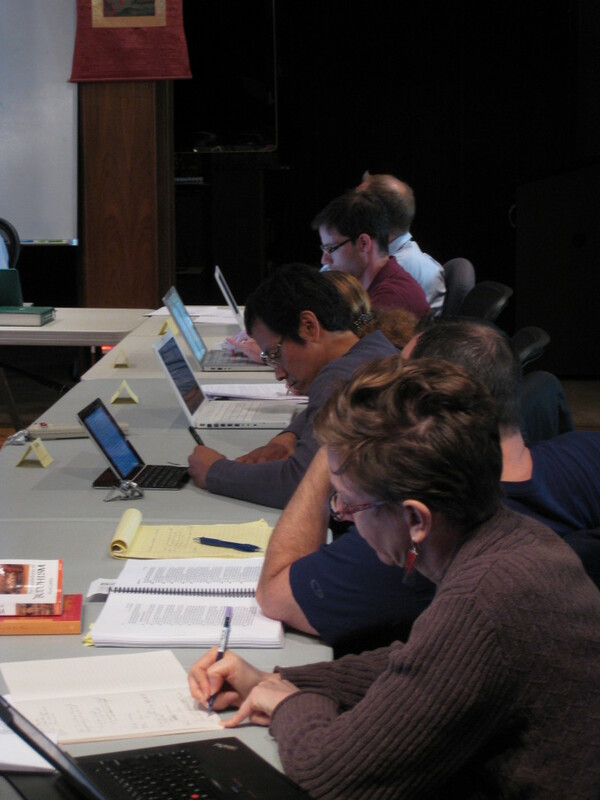 The Summer Language Intensive focuses on the study of classical Sanskrit or classical Tibetan and prepares students for a second-year university-level course. Students will engage in intensive study through grammar review, drills, and an introduction to the reading of Sanskrit or Tibetan texts during class. Daily assignments will reinforce student understanding of concepts covered in class. The program is ideal for students at graduate and advanced undergraduate levels. Enthusiasts of South Asian humanities, linguists, and classicists interested in learning the basics of Sanskrit or Tibetan will also find the program of great value. Classes are typically held Monday through Thursday. Time TBA. The cost of the Summer Language Intensive is $2,600. A statement of purpose explaining your interest in the program and indicating what background you have that prepares you for the program, including all language training. A letter of recommendation (may be sent separately by the recommender to programs@mangalamresearch.org). Your most current resume or CV. We do not have dormitory facilities under our control; therefore, we are unable offer housing at Mangalam Research Center.